EVE: Valkyrie (game, 2016). A multiplayer dogfighting shooter video game by CCP Games/Oculus VR/Sony Interactive Entertainment. Developed by CCP Games. Official Trailer. EVE: Valkyrie is a multiplayer dogfighting shooter video game by Sony Interactive Entertainment, CCP Games and Oculus VR, developed by CCP Games. 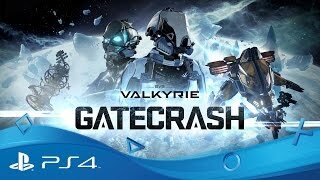 EVE: Valkyrie | Gatecrash Trailer | PlayStation VR. In the game, players assume the identity of a cloned ace pilot, with the pilot ostensibly remembering previous deaths and failures. One of the central characters of the plot, Rán Kavik, is voiced by Katee Sackhoff of Battlestar Galactica. 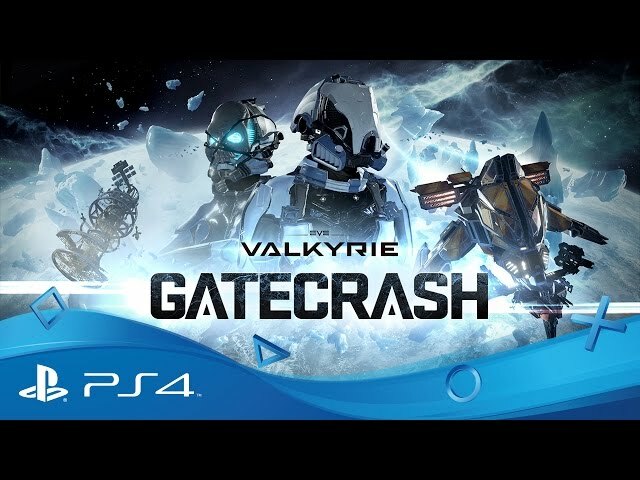 As of September 2016, the game was only available to players with the Oculus Rift headset through PC, and players with the PSVR headset, on PlayStation, although CCP has announced the game will allow cross-platform play with other upcoming systems. The game allows single-player mode for the tutorials and several "exploratory" levels, although as of September 2016, the game was primarily focused on PvP (player versus player) dogfighting matches. After the opening missions, Valkyrie splits into two game mode options: Chronicles can be played in single player, while Combat allows eight by eight combat PvP missions. In June 2016, a "trench" fighter pilot feature was added as part of a free patch with new gameplay. The new Carrier Assault game mode with the update featured three gameplay stages, the final of which features a "Star-Wars-like trench run" into the center of a ship. Among other changes with the patch were "Boost Gates" that increase speed when flown through, a new "Crossroads multiplayer map," new game modes, and a new bonus feature awarded to each player at the end of matches. The main menu was also revised, with an additional new "tactical" menu added showing all actives players and their stats during multiplayer matches. In the game, players assume the identity of a cloned ace pilot, with the pilot ostensibly remembering previous deaths and failures. One of the central characters of the plot, Rán Kavik, is voiced by Katee Sackhoff of Battlestar Galactica. EVE: Valkyrie was scheduled to be released by CCP Games, Oculus VR and Sony Interactive Entertainment on March 28, 2016, on October 10, 2016, on October 13, 2016, on November 17, 2016 and on September 26, 2017.